You must be a member of the Casablanca Sports Group to attend this activity. Would you like to join this group? 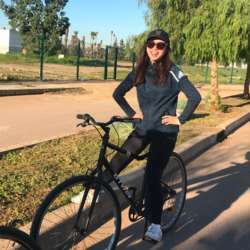 Let's Discover Casablanca by Byke , with a soft Urban Cycling around Streets , pavements & parks ! VTT type is recommended ! You’re welcome to bring a friend! Just ask him/her to register on “InterNations” and sign up for the activity beforehand.